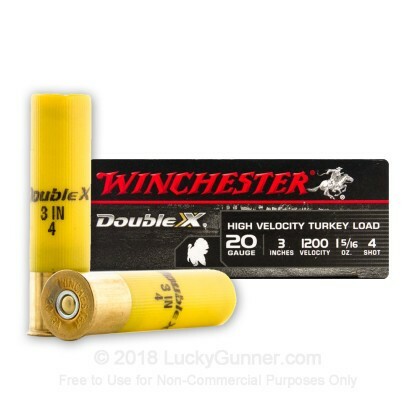 Even the biggest turkey is no match for you with these Double-X 20 gauge shotshells from Winchester. 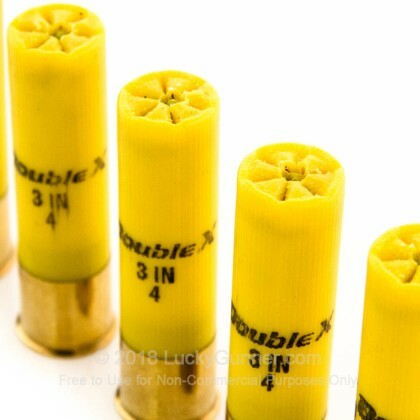 Each shell fires a heavy 1 -/16 oz. 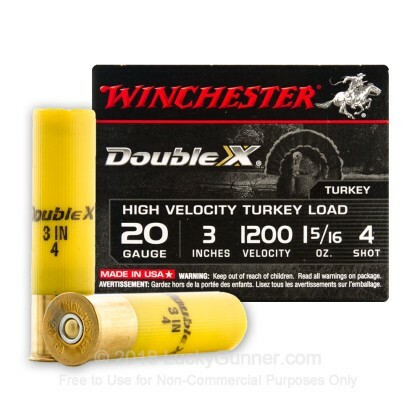 payload of #4 shot at a muzzle velocity of 1,200 feet per second, taking birds with ease even at extended ranges. 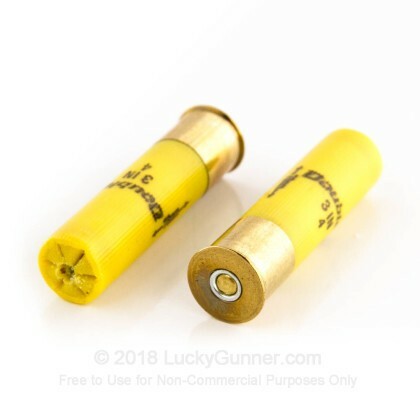 These shells come in boxes of 10 and use high quality copper plated shot and polymer buffers designed to keep pellets from deforming. This produces better patterning and enhances terminal ballistics. 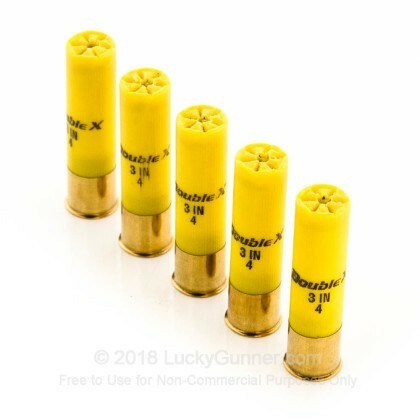 This ammunition comes in boxes of 10 and is made in the USA. 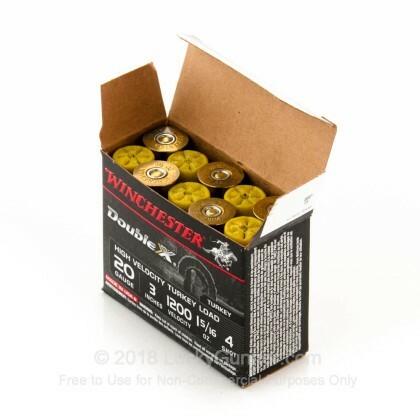 Pick up a box or two before your next trip out in the field!